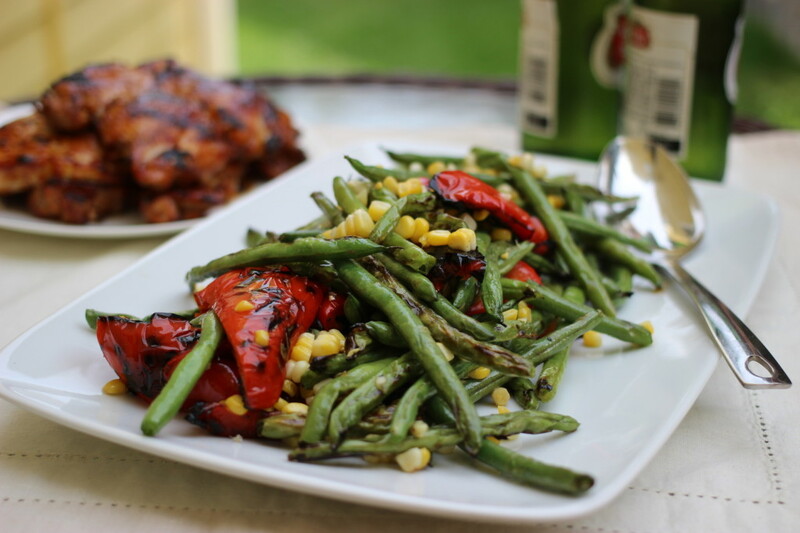 – Grilling non-grilling stuff: The trick to grilling green beans is to employ some kind of cross-hatched rack to ensure that the beans stay comfortably above the grill. On a whim, I recently picked up one of these new-fangled grill baskets at the hardware store and did a side-by-side efficacy test with one of my old baking racks. 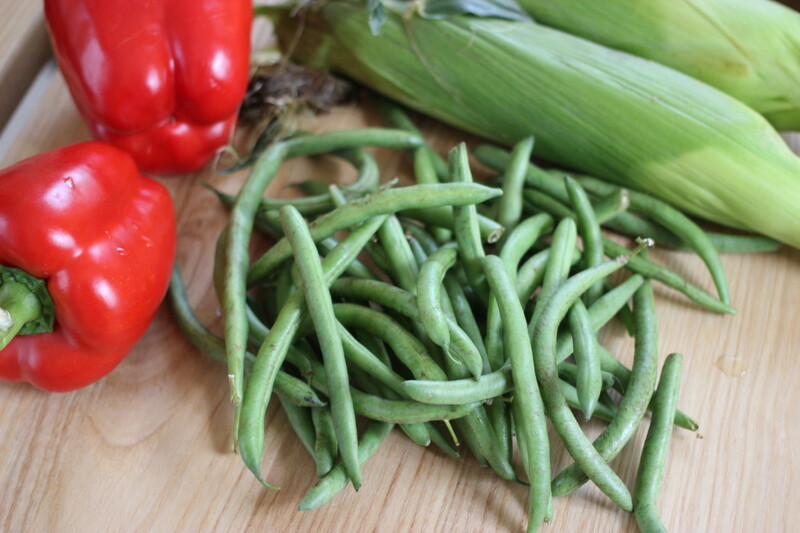 The latter (just flipped over and set flat on the grill grates) won in a landslide – I didn’t lose one green bean. The $15 grill basket was only so-so; a handful of green beans slipped out the sides and bottom of the basket. The Recipe: Serves 8 as a side dish. 1. Prep the vegetables: Prepare a medium charcoal fire or light up the gas grill to medium-high. 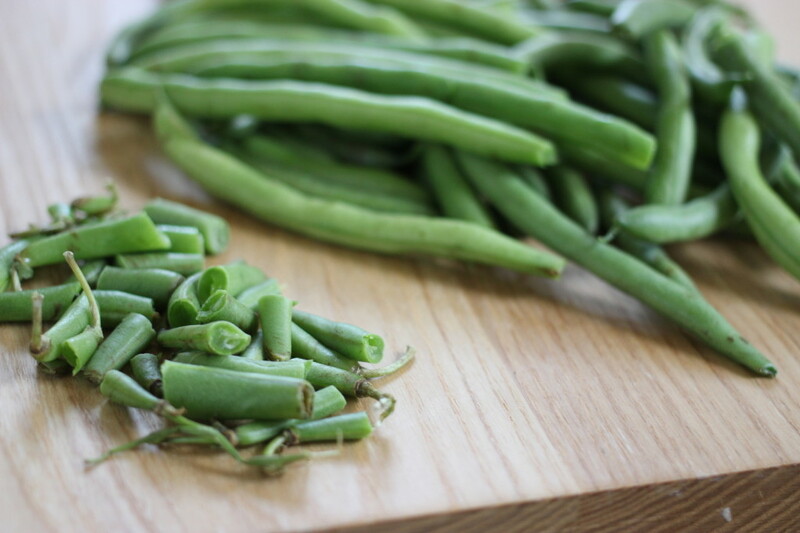 Snap off the stems of 1 1/2 lb green beans. Core 2 red bell peppers (about 1 lb) and cut in 2-inch strips. Husk 3 ears corn (taking care to remove all of the silk). 2. 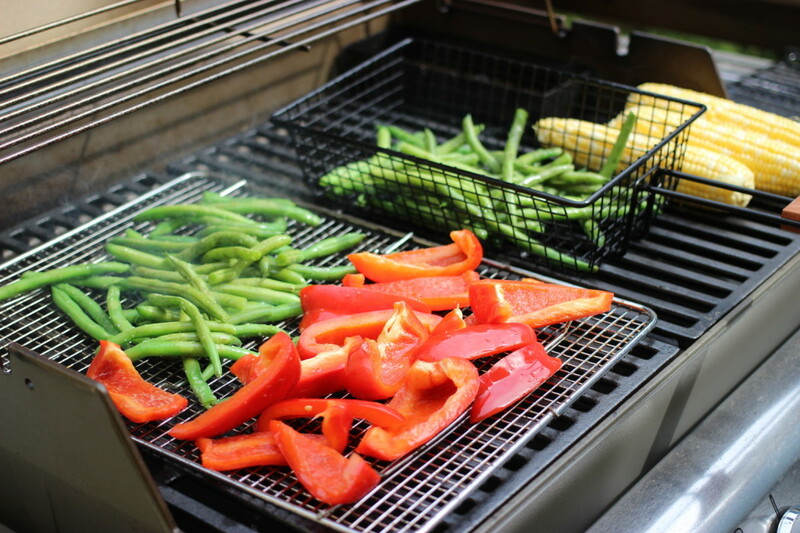 Grill the vegetables: Flip a cooling rack over and set flat on the grill grates. In three separate bowls. toss the beans, peppers, and corn with 3 Tbs. olive oil, 1 tsp. kosher salt and 1/2 tsp. black pepper. Set the beans and peppers on the rack and the corn directly on the grates. Grill the beans, flipping/stirring with tongs, until they blister and brown and turn bright green (but not all-out burn), about 5 min total; transfer to a large bowl. 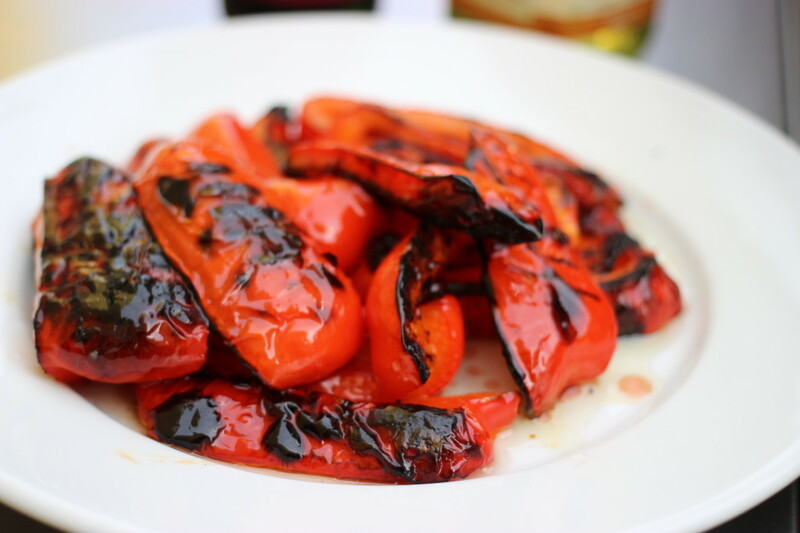 Grill the peppers, flipping every couple of min, until they are tender and browned, about 8 min; transfer to a large plate. Grill the corn, rolling over every min or two, until it’s browned, about 8 min; transfer to a large plate to cool. 3. Marinate the peppers and prep the corn: Drizzle the peppers with 4 Tbs. olive oil and 2 Tbs. red wine vinegar and sprinkle with 2 tsp. chopped fresh thyme and let sit for 10 min. Meanwhile, using a paring knife, slice the corn kernels off the cob and transfer to the bowl with the beans. 4. Toss and serve: A dd the red pepper (and the oil-vinegar mixture) to the green beans and toss with 1/4 cup chopped fresh mint. Add more oil, vinegar, mint, salt and pepper to taste and serve sprinkled with crumbled feta if you like.